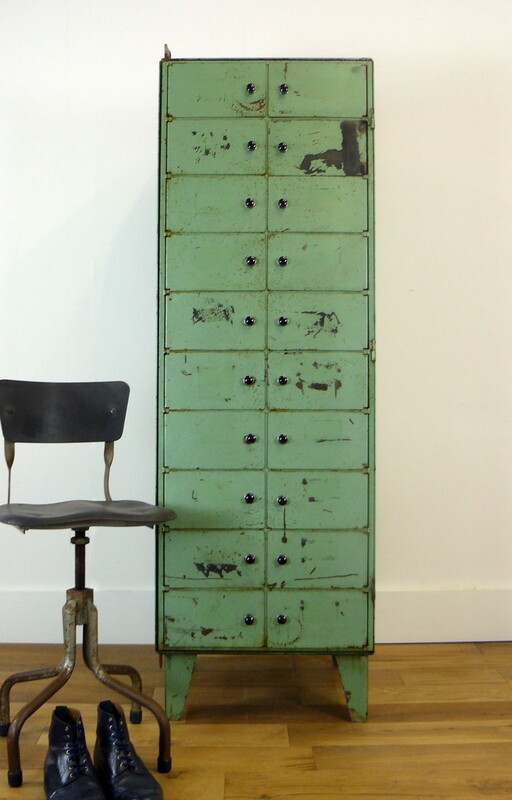 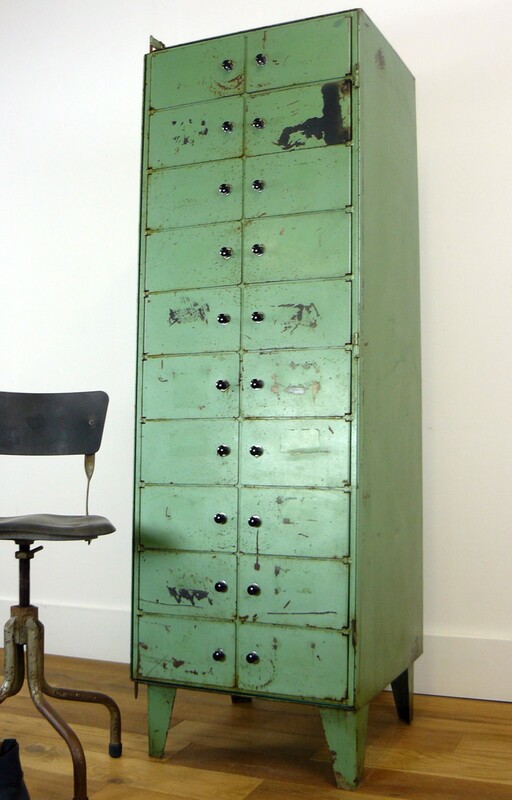 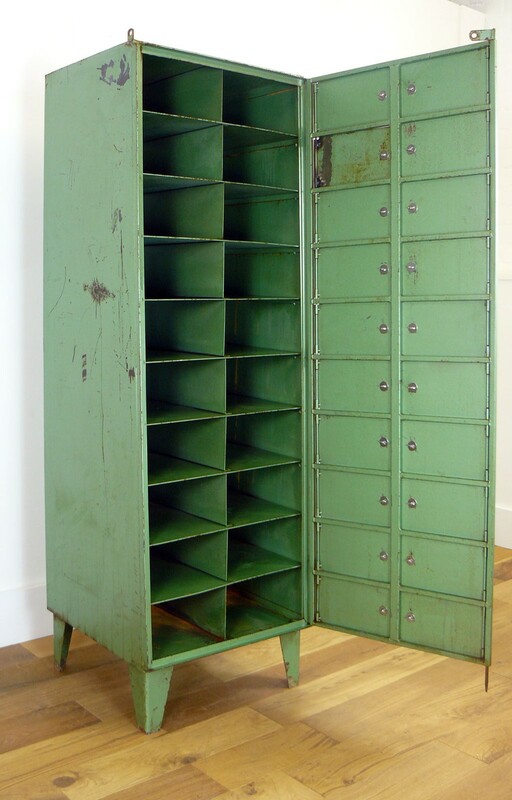 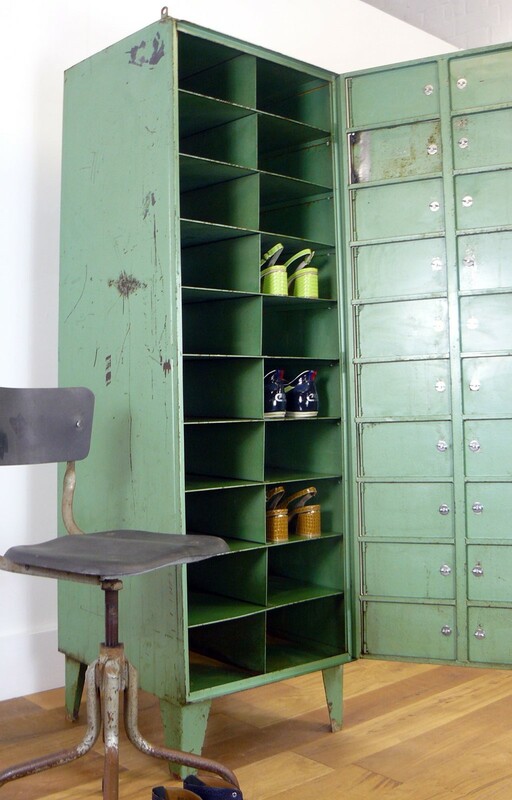 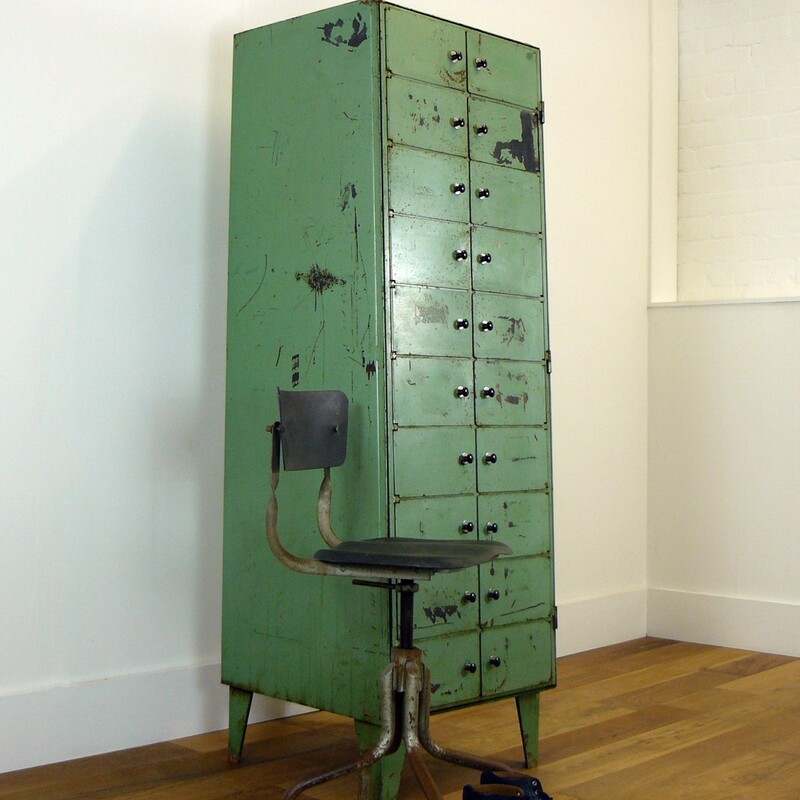 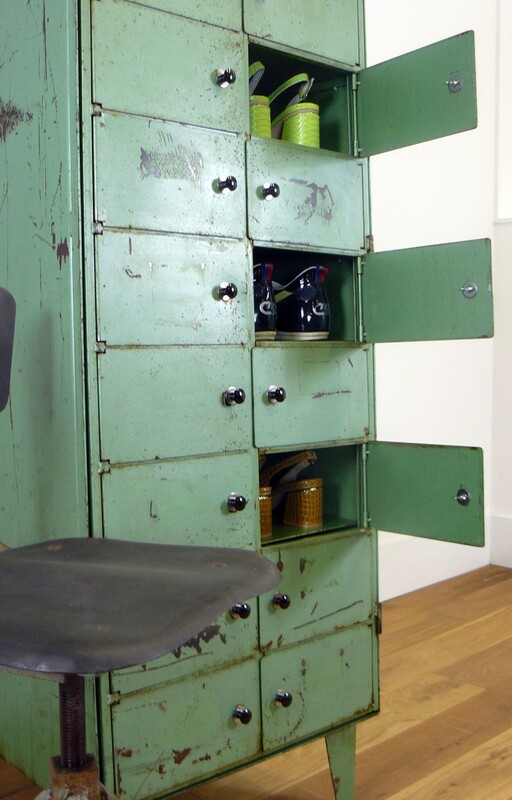 We always work hard trying to source some smashing pieces and we are very pleased to have located another of these damn good looking green locker with its bank of 20 compartments. 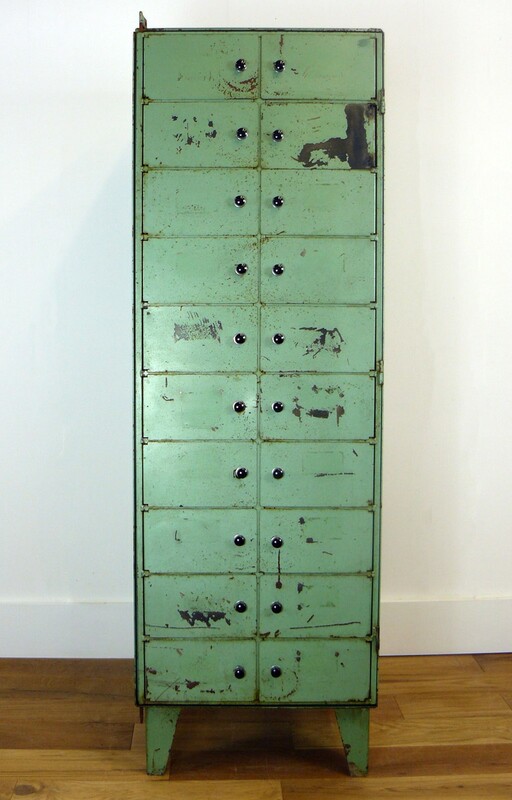 It has a very strong posture with a gentle slope at the front from bottom to top giving them a nice edgy look. 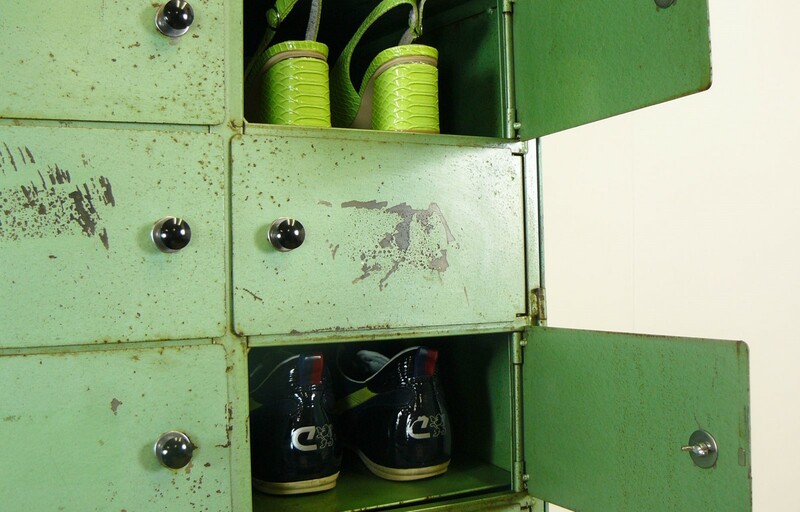 The strong front feet possess a wonderful shape and they sit in very good used factory condition. 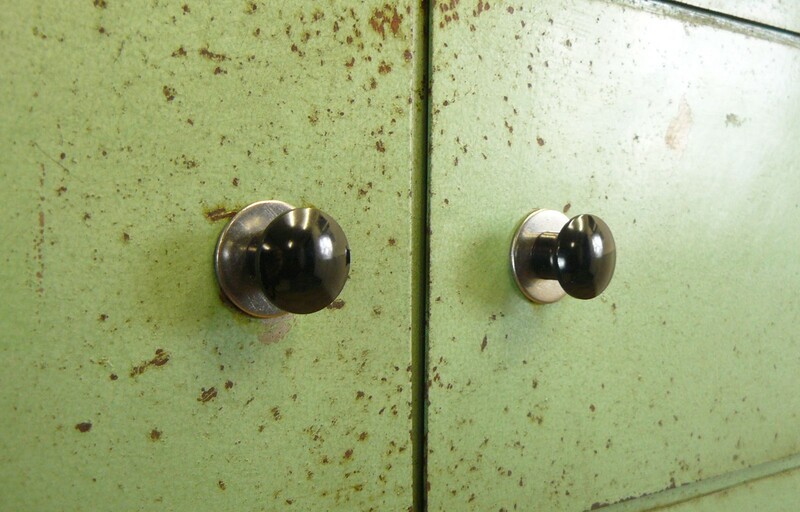 The 20 doors are enhanced with Bakelite knobs and close with the use of a small hidden magnet on the inside of the doors. 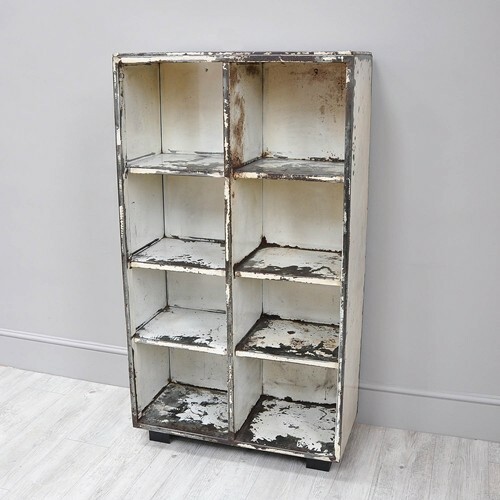 It also possesses a simple mechanism that means you are able to open the whole of the front or even take the front door, with its 20 smaller doors, off fully if you wish. 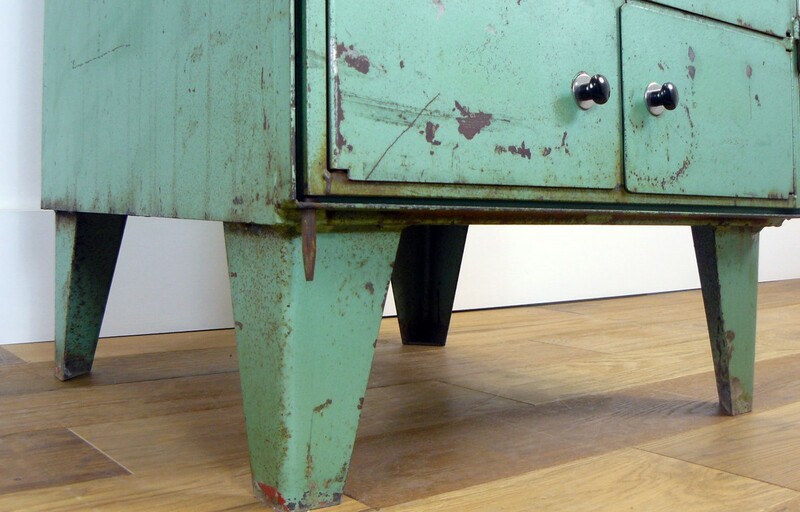 It is in its original green paint, is heavy, firm and has the odd scratch, paint loss and knocks which is expected with its age and coming from where it did, but really does look great.